First, I'm sorry, I got busy on Saturday and COMPLETELY spaced on posting this. 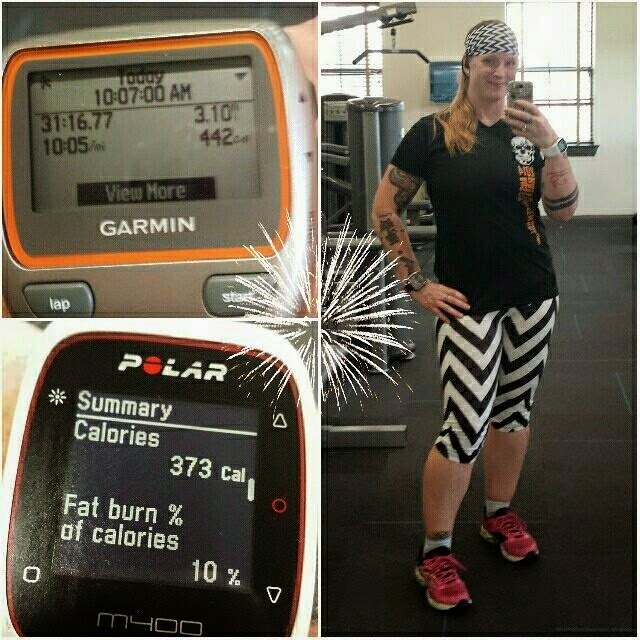 I remembered about it last night so here I am, posting my weigh in and recap from Saturday...on Wednesday. D'oh! 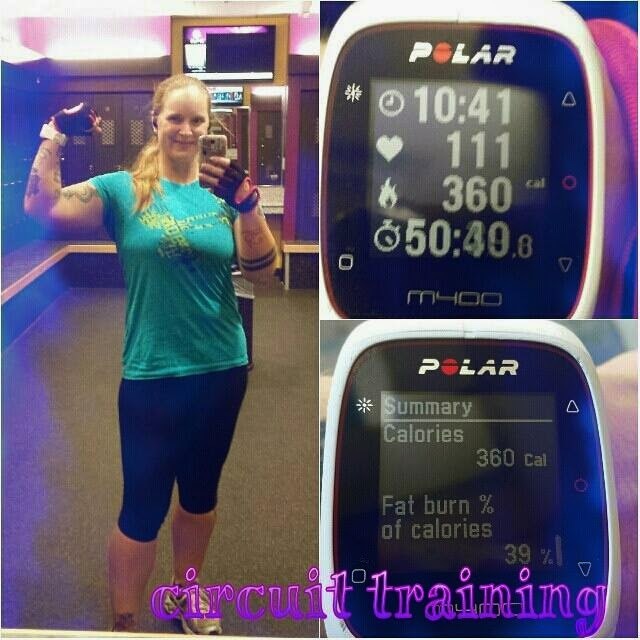 I had training for work on Thursday and Friday immediately before my Saturday weigh in. Before those days of training, I had actually been down almost 2 lbs from the previous Saturday’s weigh in. I had originally planned to eat sensibly at Subway for lunch both days but ended up stuffing my face at the Chinese buffet on Thursday. Then, on the way home, I stopped at Freddy’s Steakburgers and got a patty melt with onion rings and a small custard. Oy. Friday was slightly better. I had the sensible Subway I had planned and was satisfied and a serving of my own lentil curry for dinner. Saturday I slept until noon because I worked overtime on the night shift on Friday night, got up, hit Jack-in-the-Box for a breakfast sandwich and hashbrowns. For dinner, I met up with my friend Jennifer for a burger, fries, onion rings and vanilla shake. Whoa. Sunday, on my way back to Austin from San Antonio (ran the Alamo Half Marathon) I stopped at McDonald’s and got a quarter pounder with cheese…omg so much sodium. If it hadn’t cost me $4.65 I would have thrown it away. I ended up choking the whole thing down. I don’t think I’ll ever eat one again unless I’m on a food bender…so you know it’s bad if that’s what I’m eating in the future. Because of the bowel issues I had Saturday night, I slept poorly, so instead of cleaning for my parents’ arrival so that they could visit my apartment, I slept. I was going to clean in the evening after sleeping for a few hours but my parents were already in town and texted me if I wanted to meet for dinner. DUH! Of course I did! I want to see them as much as possible! So, I chose Souper Salad for dinner and didn’t eat TOO too badly. Monday, I met my parents at the hotel, they checked out and we made our way to IHOP for breakfast. I had the 2-2-2 breakfast platter. Sugar free syrup, of course. But still. Anyway, I was stuffed after that. 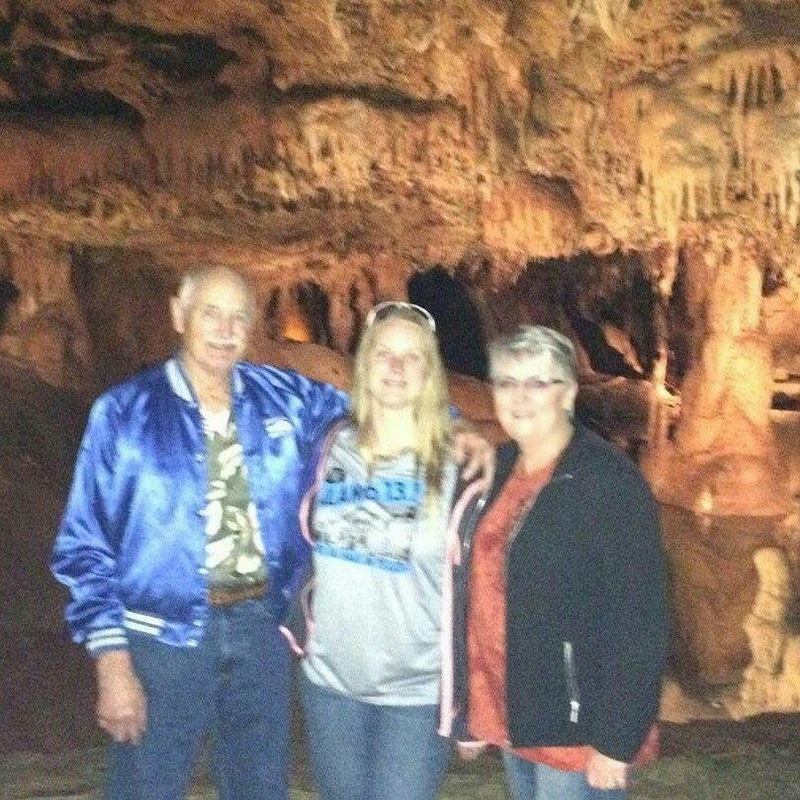 Then we went to Inner Space Caverns (see my Instagram feed if you’re interested in the pictures…they’re great!). After that, they made their way north to my uncle’s house and I went home to see about cooking and maybe some cleaning. As far as cleaning goes, all I got done was the dishes that were in the sink. By the time I got done cooking, however, I had even more dishes than what I had originally started with. Ugh. The joys of doing all your own cooking, right? Tuesday, I was back on track. Very happy with this. VERY. 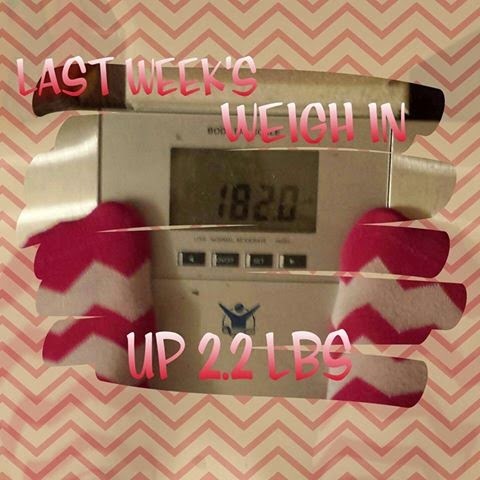 That's a 4.6 lb loss from the previous week, OR a 2.4 lb loss from my challenge final weigh in. 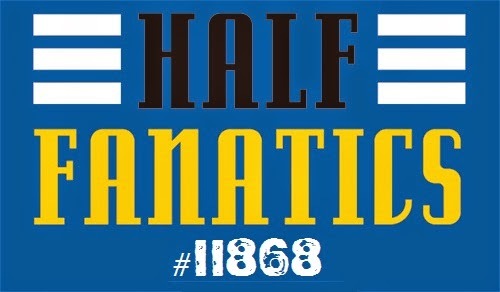 Either way, great job me! I just hope I don't let myself down this week what with being out of town and eating out and such because of this Women in Criminal Justice conference I'm attending. I ate out 1 dinner, 1 breakfast (I did pick off their "healthier choices" section of the menu) and 1 lunch. Dinner was ridiculous and over the top. The breakfast, as I said, was semi-okay. The lunch was Jason's Deli and, while I could have made a worse choice by far, I definitely could have made a better choice...a healthier choice. A dry turkey sub from Firehouse Subs would have been the much better choice, for instance. Oh well. Last night, before I met up with Jennifer to walk around the Riverwalk, I went to the grocery store and bought a couple pre-packaged salads, some sushi, some strawberries and a decently healthy pre-packaged sandwich. No more eating out the rest of the time I'm here!!! 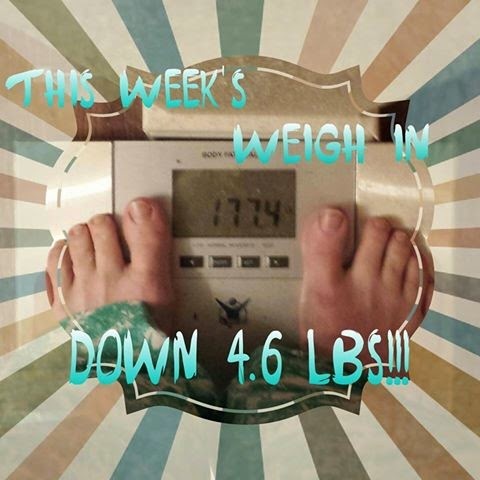 I hope the scale is kind to me Saturday morning! 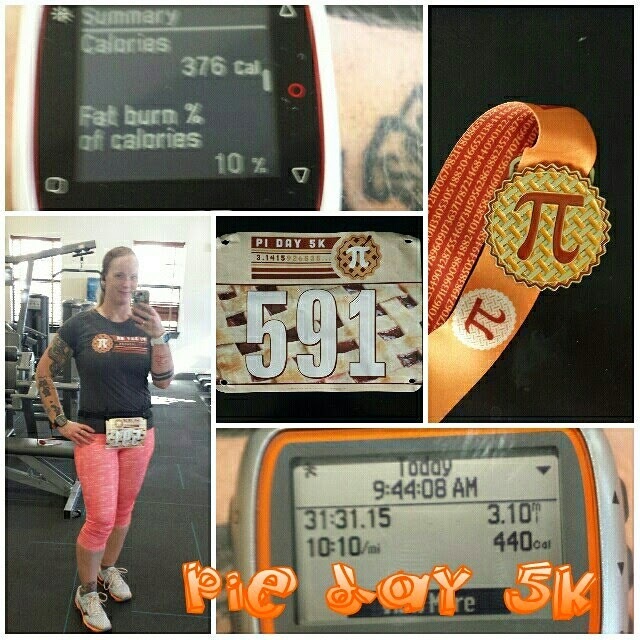 • Saturday: I ran 3.1 miles for the Pi Day 5K virtual race I signed up for. I got a shirt and a bib and a medal! I sort of wore the bib while I ran. 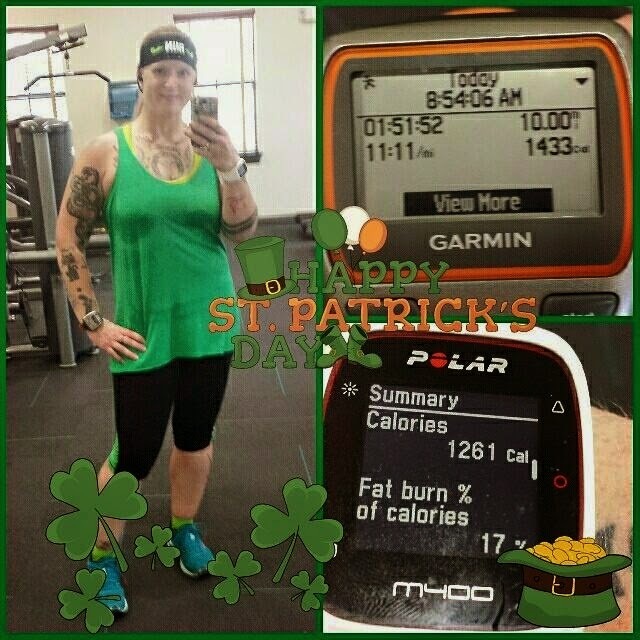 I had it kind of rolled up around my gear belt that way when I got done and I stopped in my apartment complex fitness room for my post run selfie I could unroll it and get my selfie with me wearing my bib. 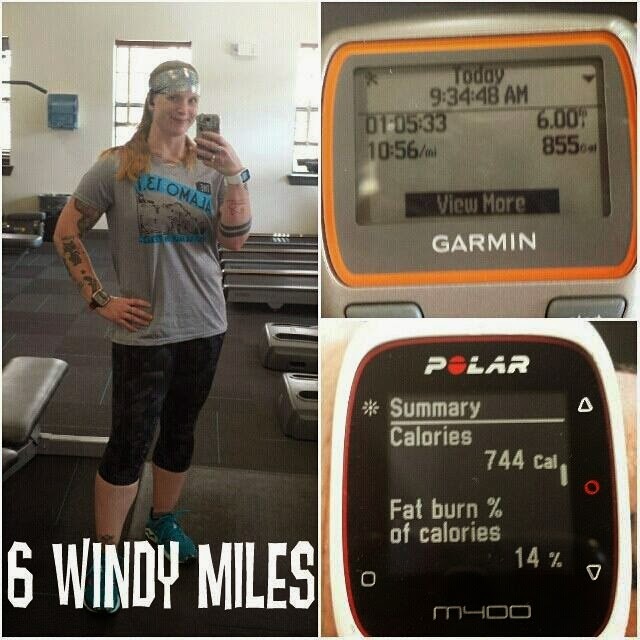 I also did wear the shirt (not a tech shirt I might add…so glad this was just a 5K) they sent me to run in. On top of the 5K, I went to the renaissance festival so I was walking around for a few hours. • Sunday: I went to the renaissance festival again and walked around for a few hours. It was enough to get over 11,000 steps counted on my Polar, but not enough to get 100% of my daily activity goal. I had planned to try and make it to the gym in the evening, but I got a late start with my chores and meal prep, so the gym didn’t happen. • Monday: I had planned to run, but since I only got about half of what I needed to get done on Sunday actually done, I decided I should just take the day off from running (my feet were also extremely tired from my weekend of standing up and walking around at the festival, so that influenced my decision as well) and see how much closer to finished I could get. I got about 95% of everything done so I call it a success. • Wednesday: worked a double shift the night before so no workout this day. 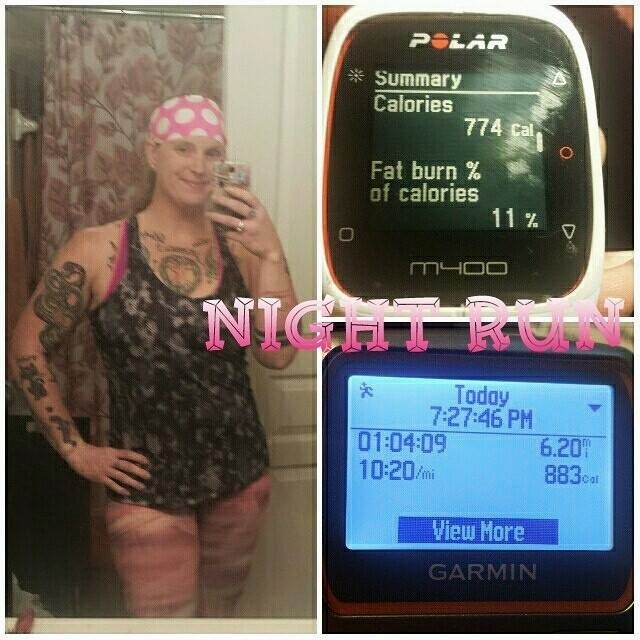 • Thursday: I had training this day, but did get in a 10K run when I got home in the evening, so win! The sun had gone down before I was even halfway through and it brought back memories of last summer when I was getting up before dawn to beat the heat of summer for my marathon training. It was a fond trip down memory lane, believe it or not. It kind of made me look forward to the summer training months that will happen later on this year. 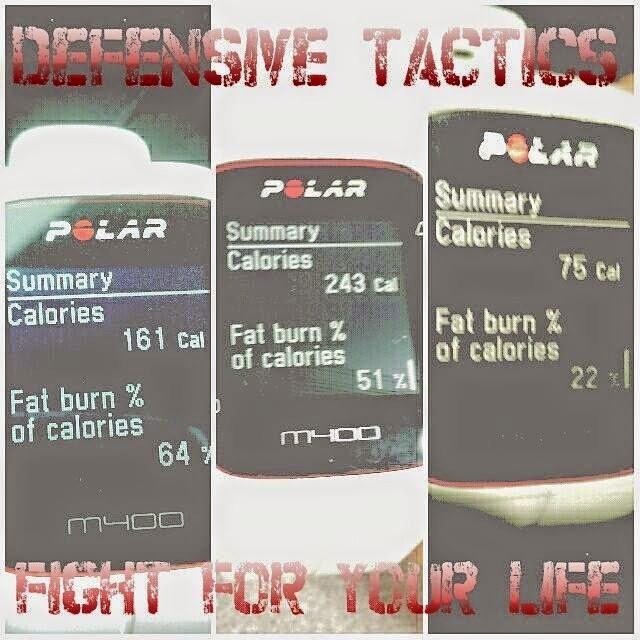 • Friday: I had training again this day AND I worked overtime on the night shift, so I did not workout…BUT we did defensive tactics in training and burned a collective 479 calories, so I counted that as my workout. I did take a nap between training and the night shift…about 2.5 hours of somewhat broken sleep. • Saturday: nothing, rest day in preparation for the Alamo Half Marathon. 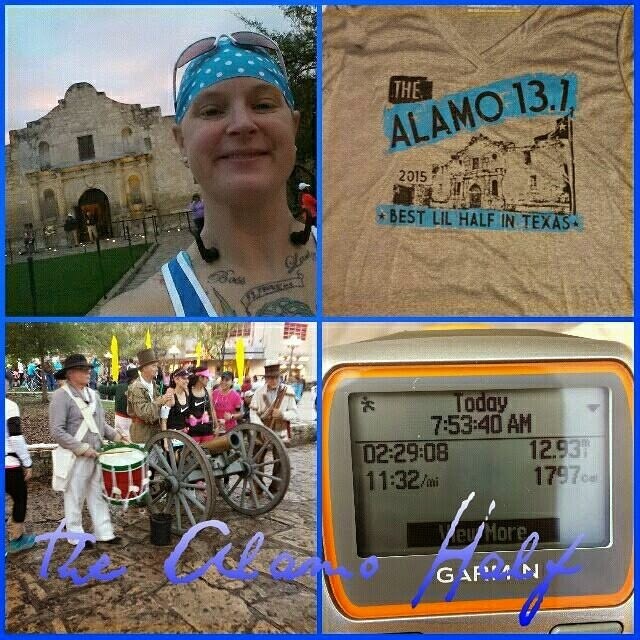 • Sunday: ran the Alamo Half Marathon (see my race report for the full details). 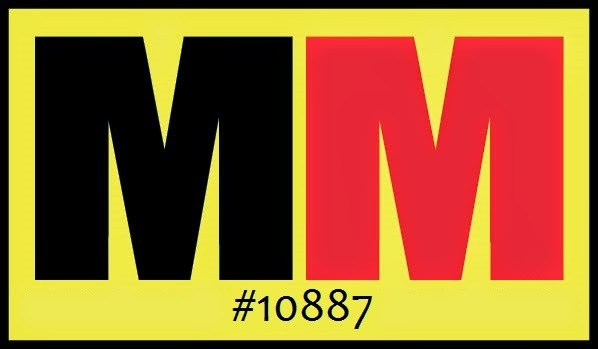 • Monday: nothing, visited with parents in the AM and then cooked the rest of the day. Recovering from the Alamo Half and doing all my cooking that I obviously didn’t get around to Sunday afternoon/evening due to being asleep from being somewhat sick and then dinner with my parents. • Tuesday: ran a 5K for a free t-shirt! I’m guessing that since I’m registered for at least 1 Rock’n’Roll series races (Portland Half and San Antonio Full), they sent me an email promoting their Kick Off 2015 virtual race. All I had to do was run a 5K before April 1st and submit my proof of said run via the provided web link and voila they’re sending me a free shirt! Not even a shipping charge! I’m disappointed that it’s a cotton shirt and not a tech shirt that I can wear to run in, but it will get worn to the gym and, depending on how it fits, maybe even out and about with jeans as well. • Wednesday: made it to the gym!!!! WOOHOO! First time in over 2 weeks. I made sure to push myself a little and make myself a little uncomfortable with the weight I was pushing up and down. It was a good workout. • Thursday: ran 6 miles. It was a challenging run, that’s for sure. The wind was gusting upwards of 25-ish mph and half the time I was running straight into the wind and then sometimes while also running into the wind, I was running uphill as well. I had a good overall average, but I know miles 2 and 3 were above 11 min/mi and were inching up to the 11:30 mark because of the whole into the wind and uphill thing. I know, blah blah, excuses. But it’s true! Haha. Part of my issue with this run was because I was running into the wind, nature was forcing air into my lungs on top of me trying to breath normally and I ended up with a side stitch. Then, as I was attempting to get rid of said side stitch, I ended up with another side stitch on the other side of my torso. <facepalm> I just couldn’t win with this one. But, I didn’t give up. I kept going. And, once I got up that hill and turned the corner, and took a small breather break, and the trend was a super gradual downhill for 2-ish miles, it got better, my mile times dropped decently enough into the 10’s to make me somewhat happy and the side stitches pretty much went away and were just shadows of their previous selves. • Friday: I was going to go to the gym, but decided that since I was still sore from Wednesday’s trip to the gym that maybe I’d rest and get the laundry done that has been clean for weeks but I haven’t had time to put away. So, I played move the cat as I folded my clothes. Haha. 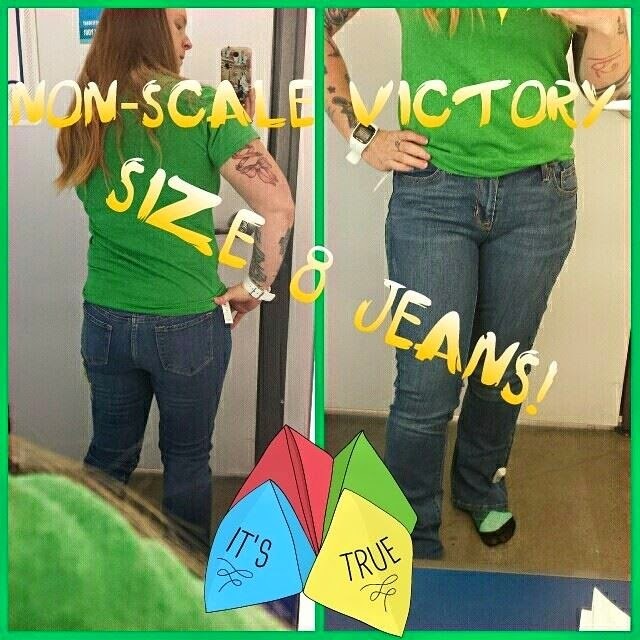 I also made a trip to Old Navy as my size 10 The Sweetheart bootcut jeans started falling off of me last week. I tried on the 8’s and BAM! perfect fit! 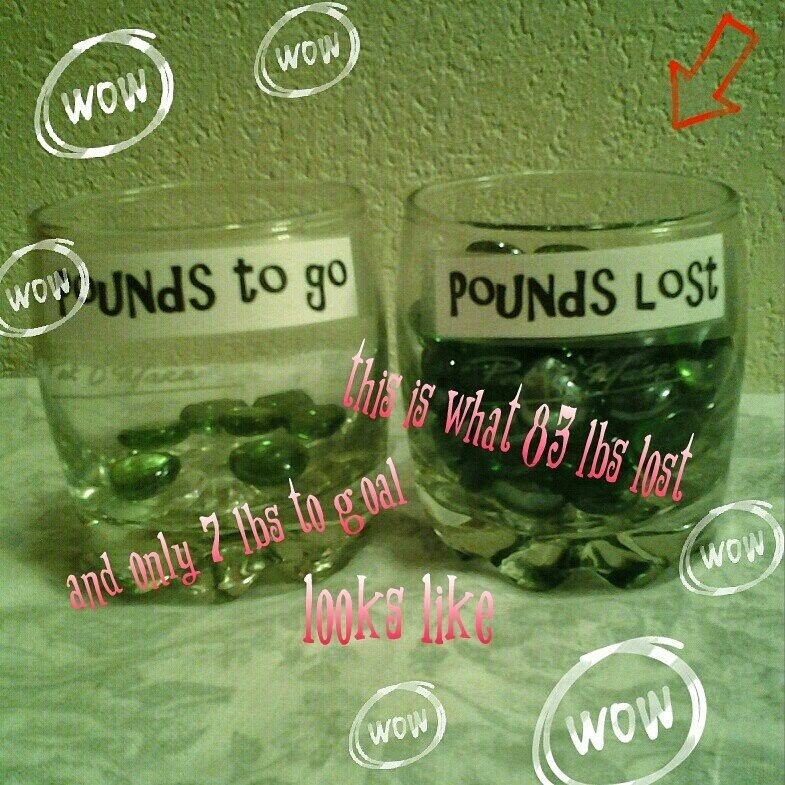 So, here’s a little non-scale victory for ya! All in all, this was a great week. I’ll be out of town for most of next week for a conference, but I’m hoping to eat as healthy as possible. I plan to meet my friend Jennifer for a run Tuesday evening after the conference is done for the day. I’d like to check out the hotel gym for a workout Monday and Wednesday. Thursday, after I get back home, if it’s not too terribly warm (read: hot as hades cuz it’s Texas) then I’ll go for another run. Just because I’m out of town and am not making my own food doesn’t mean I can’t have a plan to be healthy, right? Let’s see how I do. We’ll find out next Saturday!